Windows Server Backup is the built-in tool in Windows Server 2008/R2 that allows you to backup and restore files, folders, and critical system data such as the System State, entire volumes and even the full server itself. 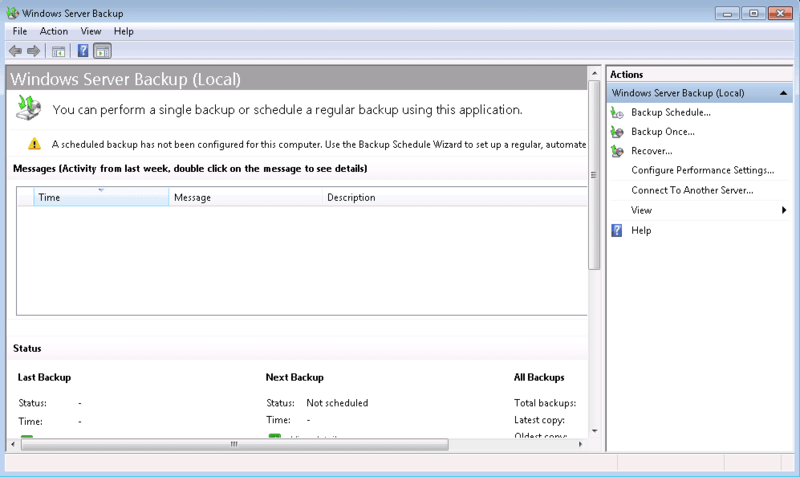 After using it, Windows Server Backup will begin to display a log of recent backup and restore operations. This log allows the administrator to keep track of what backup and restore operations were taken on that server, and may be quite useful especially when having many people dealing with your servers. While useful, sometimes one might want to delete or clear that list of log entries. Strangely, there’s no obvious place, button, command or checkbox you can use to clear that log. After some digging, we found a workaround. 1. 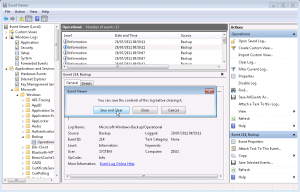 Open Event Viewer from the Administrative Tools folder. 2. Go to Applications and Services Logs. 3. Expand Microsoft > Windows > Backup. 4. Right click on the Operational Channel log and choose Save and Clear or just Clear in case you don’t want to save the existing log (we suggest you save the logs before clearing for any future reference). 5. 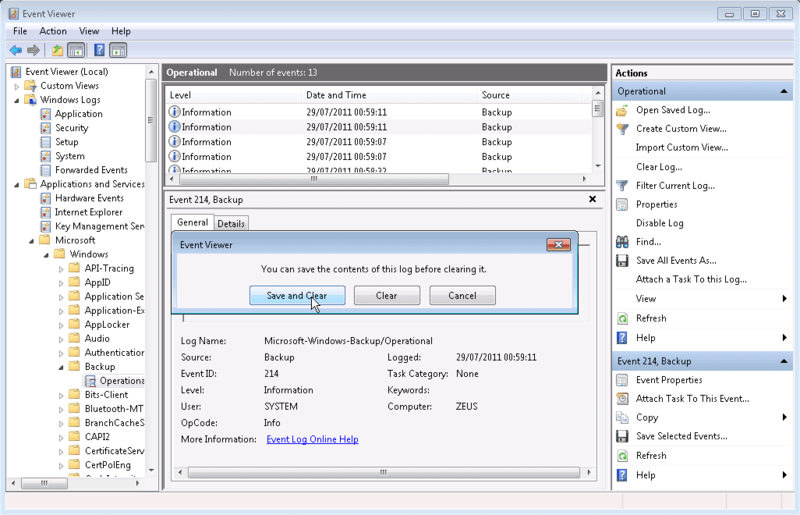 Now, if you open Windows Server Backup, you’ll see that the log is empty. And that’s it! 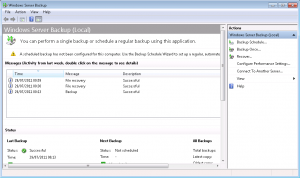 Windows Server Backup is a very useful tool and the fact that it keeps a log of all its activity is an obvious addition to the software. Oddly, there is no obvious way to clear this log if one wanted to. Although it’s not obvious, there is a workaround that hopefully you’ll find it useful at some point. Petri.co.il is one of the most comprehensive IT and certification related web sites. With thousands of how-to articles in such areas as SQL Server, Cloud, Windows Server, Virtualization, Exchange, Cisco and Active Directory, Petri.co.il has become one of the world’s leading MCSE and IT related knowledge bases. The Petri IT Knowledgebase Team continues to provide relevant articles for IT professionals.